Social work degrees open the doors to a fulfilling career path in which helping others leads to the ultimate success. With the best Social Work Career Guide on the web, you can figure out what it takes to become a Licensed Social Worker, learn about the different types of social work that you can pursue, learn which social work degrees might be best for the career you want to have, and see what the top social work jobs and highest paying social work jobs are in the United States. A career in Social Work can be perhaps the most fulfilling out of any career path available. People that work in Social Work note the advantages of a social work career: helping others on a daily basis, working with families and children, helping people overcome obstacles such as addiction or mental health disabilities, and many more. Social work is an ever-growing field. The Bureau of Labor Statistics estimates a steady growth in the next decade, which contributes to another reason why people choose this field. As long as there are citizens within society, social workers will have a place. Individuals that are interested in this field are an asset to society and should receive ample support and guidance along their way to changing the lives of others throughout their careers. If you are the type of person that enjoys helping others, the field of social work may be a great option for you to pursue. This professional field was created in order to accommodate altruism in an official and stated way. Those that are employed in the field of social work may work daily to ensure that the people they serve are receiving the right types of services for healthcare, financial issues or even for family wellness. The need for social work professionals in fields such as social services, the court system and even health insurance is high all over the country, making this field a viable option for people that are looking for widespread careers. The field of social work may require professionals to become engaged with the social environment and the people in it on a regular basis. This can include working in an office setting, visiting people in their homes and advocating for clients in a court setting. Social workers can be a mediator for clients that are trying to receive support from the state in terms of welfare or insurance and can even be responsible for assisting people with making important financial decisions. This incredibly diverse field may call upon the most compassionate and dedicate individuals available. In order to be a part of this field, professionals must complete a degree program focusing on social work and may also be required to pursue licensure for some career options. If you are interested in knowing more about the field of social work and all that it is involved with, read along in the helpful guide below. Our team of experts has been researching programs just like this one for over a decade. The information provided below was found through their thorough research of programs available all over the country. Whether you are new to college or considering going back to pursue a higher degree, there is always room for advancement in the field of social work. You might be considering the advantages of pursuing a degree in the field of social work, since it takes so much time and energy to complete a degree program. The list below outlines some average salary figures for professionals at each degree tier. As you can see, there seems to be a significant difference in pay as you move up the ladder, with the most profitable figures located at the highest degree level. Check out the list below to see if you could see yourself in any of these incredible social work positions. Bachelors: Substance Abuse, Behavioral Disorder, and Mental Health Counselors – $43,300 on average per year (BLS). Masters: Social Workers – $47,980 on average per year (BLS). Doctoral: Social and Community Service Managers – $64,100 on average per year (BLS). An important component in choosing a degree program is ensuring that you can become licensed as a social worker upon completing it. In order to achieve this goal, you should choose a degree program that contains the right type of accreditation. Students that wish to pursue their degree online can find accredited programs within their general area or in diverse areas of the United States. Online degree programs can allow students to access their courses at any time, take advantage of flexible due dates and complete their degree in a fitting timeframe. Our team has provided some popular online options for students at different degree levels below. Social work at its core is the direction and leadership of people within a community towards a better purpose. Upcoming professionals that show an interest in this field are a vital asset to the communities in which they live. MORE: What is Social Work? Why Work in Social Work? Social work is an ever-growing field, and people choose social work to make a difference for others that are less fortunate, or for others that are suffering, disadvantaged, or disenfranchised. The goal of a social work is to improve the quality of life for others and better the society in which they live. MORE: Why Work in Social Work? You will need to check the licensure requirements in the state you live to be 100% certain on how to become a licensed social worker, but the state-by-state requirements for becoming a licensed social worker vary slightly, but all require that a degree be obtained from a reputable, accredited university. Some states require just a Bachelors of Social Work many most require a Masters of Social Work. After you obtain your degree you will need to pass the licensing examinations set forth by the CSWE. To become a Licensed Clinical Social Worker (LCSW), graduates will be expected to not only complete the previous stated requirements, but will also be subject to extensive criminal background checks, more in depth supervision requirements and a clinical level exam. The requirements are so diverse from state to state that it is vital to assess individual state requirements prior to making the decision on which licensure to pursue. MORE: What is an LCSW? There are over a dozen different types of social work careers available. From Policy to Substance Abuse, Mental Health, and Child and Family Social Work, the areas are many. CSWE accreditation is for social work programs that have the distinct label of CSWE accreditation from the Council on Social Work Education. The CSWE accredits Bachelors and Masters of Social Work programs. One organization such as the CSWE accrediting social work programs helps the curriculum, classes, outcomes, and teaching philosophies stay consistent across numerous universities, and also ensures those universities meet the requirements set forth by the CSWE. Not all Social Work programs are CSWE accredited. MORE: What is CSWE Accreditation? The Council on Social Work Education accredits Bachelors and Masters of Social Work programs. One organization such as the CSWE accrediting social work programs helps the curriculum, classes, outcomes, and teaching philosophies stay consistent across numerous universities, and also ensures those universities meet the requirements set forth by the CSWE. Not all Social Work programs are CSWE accredited. There are a few different ways to become a social worker, and they are really depended on where you live since each state has different licensure requirements. Generally speaking though, you need a degree. In some states for some jobs a Bachelors of Social Work will suffice, but many states require a Master of Social Work. Then, states require you to pass the examinations to become a licensed social worker. People do not choose social work because there are no other options or it is an easy choice. People choose social work because they want to make a difference for people that are suffering. They want to increase the quality of life for others and better the society in which they live. Social workers work hard to ensure that their clients are getting what they deserve from the communities and can remain in touch with the services that society provides. They are a voice for those that do not know the right words to say and demand respect for individuals that need a boost in confidence and a sense of belonging. The road to becoming a successful social worker begins with the initiative to make a difference in the lives of those within a community. Depending on the state, the requirements for becoming a licensed social worker may vary slightly, but all require that a degree be obtained from a reputable, accredited university. In most states, requirements are broken down into either Bachelors level licensure or graduate level licensure. With 1,356 colleges across the country providing social work degrees, there is no lack of options for those interested in becoming degree holders and licensed social workers in the future. The first option for licensure is at the Bachelors of Social Work level in some states, called the LBSW, or Licensed Bachelors Social Worker, which allows graduates to work under licensure status with certain education level restrictions. One state requires that Bachelors level degree holders provide proof of a Council on Social Work Education accredited degree and successfully pass the Association of Social Work Board’s Bachelors level examination prior to being considered for licensure. In addition to educational requirements, those at the undergraduate level may be required to take part in supervised work experience in order to obtain a higher level of licensure in the state in which they choose to practice. To get a Bachelors of Social Work, you can enroll either in an on-campus program, or in an Online BSW program. Online Bachelor of Social Work programs are becoming increasingly more common with the proliferation of studying online. At higher degree levels, the requirements mostly mirror those of the undergraduate level licensure programs, but the result is usually more favorable for those wanting the most opportunity in the field. To obtain licensure as a LMSW, or Licensed Masters level Social Worker, individuals will be subject to a state board exam and possibly the requirement of supervised experience depending on the state. When leaning more towards a specialty licensure, such as the Licensed Clinical Social Worker (LCSW), graduates will be expected to not only complete the previous stated requirements, but will also be subject to extensive criminal background checks, more in depth supervision requirements and a clinical level exam. The requirements are so diverse from state to state that it is vital to assess individual state requirements prior to making the decision on which licensure to pursue. 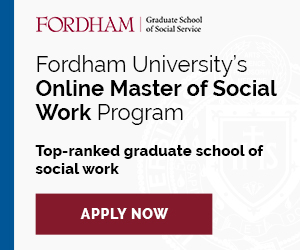 Online MSW Programs are becoming very common for those already working in the Social Work field or a related field. With an Online Master of Social Work, you can oftentimes take courses while still staying employed. Why a Masters in Social Work? Since there are so many options for individuals that are interested in degrees in social work, it can be confusing as to which level to achieve and why to choose it. At the Bachelors level, graduates will find that the requirements for licensure are less dense, but it also provides access to mostly entry-level positions in fields related to social work. When browsing for open social work positions, most job requirements list a Masters degree in Social Work as a minimum requirement as well as licensure. The most common degree path for social work professionals is the master’s path – which says a lot about how important it is to choose the most profitable degree program when investing in the future. Higher level degree programs equal more knowledge, potentially more pay and opportunity. The CSWE is more than an accrediting body. They also provide many resources for current and aspiring social workers. Below, they filmed a “Day in the Life of a Social Worker”, which is a good video to watch to understand someone else’s perspective on a social work career. What Are the Highest Paid Jobs in Social Work? If you are like many others interested in the field of social work, you may be interested in learning more about the best opportunities available for social work professionals. This is a highly populated field that includes many different specialized positions and job responsibilities. Some of the highest paying positions within the field of social work are found in leadership positions and specialty roles that are focused on providing great quality assistance to members of society. Individuals that have some experience in social work may have the option to pursue leadership positions in social service agencies, healthcare and even education. Our team of educational experts has reviewed some of the top positions in social work to provide you with some that pay more than average. Review the list below for more details. State Social Service Managers: One of the most rewarding occupations within the field of social work is at the management level. Most careers at this level require professionals to have an advanced degree in social work accompanied by a minimum of 2-5 years of experience in the field. Managers in this field may work hard to ensure that teams are following all necessary protocol and policies set forth by the state, oversee the hiring process and report all necessary information to the state department. The average salary for professionals in this career is $82,100 (BLS). Nursing or Residential Care Social Workers: As you enter into the field of social work, you may notice a profound difference in job responsibilities based on the career field you are working in. Due to the size and responsibility of the medical field, there is a higher need for experienced social workers to assist with the needs of patients. Specifically, nursing and residential care social workers may assist in the decision making process for patients, translate medical data to their clients and act as a mediator between patients and their doctors. The average annual salary for these social workers is $60,970 per year (BLS). Community Social Workers: Social work as a whole can introduce professionals to many different facets of society. One popular realm of social work that draws in new professionals each year is community development and vocational training. Social workers in these areas can work with members of society to connect with helpful resources, job training programs and family services. Professionals that work for agencies as social workers for community development can earn around $59,450 per year on average (BLS). In a field that is tied so closely to the community, it is simple to see that many different fields within society are touched by social workers. Social work is a field that is growing constantly as the need for experienced and educated public service providers expands. It is well known that social workers provide vital services to individuals and families that desire help in many of the common aspects of life. This section will discuss the various areas of society that employ the largest numbers of social workers across the country. In order to develop and maintain public policies on health, wellness and welfare, the United States has implemented state-specific programs that analyze, assess and address various issues such as public health, community wellness and local welfare programs. The most suited professionals for these sections of society are social workers. Since social workers are highly trained in gathering data and forming policies that effect large populations, they are sought after to fill positions that deal with the public and the changes that should take place over time. One of the most well-known areas of social work is that of children and family. In the court system, state funded food programs and best-interest situations, social workers work as advocates for children and their families. A lot of the legal jargon that is involved with the judicial system can be confusing to individuals with no real legal experience. Social workers step in to ensure that the court system and welfare agencies maintain the best interests of the client through all proceedings. Not only are these programs an important part of the lives of juveniles and their families, but it is also vital for families that are struggling with poverty or issues of abuse and neglect. Social workers are truly a saving grace for families that need help working with state systems or looking for resources throughout their community in order to better their lives and further their well being. Just as there is a specific area of social work for children and families, the aging population also has a representative in the field of social work. Gerontological social workers work specifically with the elderly in situations of neglect or wellness. Sometimes working hand in hand with nursing and rehabilitation facilities, these professionals help families with monitoring the care of their family members and organizing funding and planning for retirement home stays and future care. In the unfortunate case that there are issues with neglect or mistreatment, social workers also work as advocates in the legal system, ensuring that elderly individuals are given proper treatment and possibly more fitting referrals throughout their lifetime. Some of the most vulnerable populations deserve assistance from social work professionals. Psychiatric patients look to social workers to assist them with finding the care they deserve, especially in instances in which patients do not have nearby family members or are completely unable to make decisions on their own. Working with hospitals and psychiatric organizations, psychiatric social workers are required to stay up to date with current psychological treatment standards and work alongside licensed psychologists or psychiatrists. These professionals play an important role in the quality of life of their clients and can truly change how well a person integrates into the community. In busy hospitals and medical care centers, thousands of patients are seen daily for a wide array of different reasons. In order to ensure that each patient is given the proper counseling for future care or support for devastating illnesses, hospitals rely on medical social workers to work with patients to get the most out of their hospital visit. Medical social workers are an important part of a patient’s ability to cope with an illness, a family’s ability to understand a loved one’s illness and the patient and family’s ability to contact needed resources within the community down the road to recovery. In a perfect world, the need for social workers would be non-existent. Unfortunately, there are problems within society that require the assistance of educated service providers. Members of society that are suffering with addiction are aware that they are not always in control of their desires and truly do deserve the help from qualified social workers along their route to a drug or alcohol – free lifestyle. Substance abuse social workers work hard to assist individuals with job planning, life planning and counseling related to drug and alcohol abuse. These professionals may work privately or hand-in-hand with hospitals or court systems in an effort to change the lives of those with this disorder. School is one of the most social parts of a child’s lifetime. During this time, a child may go through many life changes that can have positive or negative effects on an education. School social workers are available throughout school systems to provide personal, education and resourceful information to students of all school ages. School social workers typically assist children with finding solace with typical personal or relationship issues, provide educational counseling for college planning or tutoring services or assist with further assistance for children that show signs of mistreatment or neglect. This area of social work is especially important for society as it assists with molding future professionals and lending a hand to children that may have no others means of support. This field is general in nature for social work professionals. Clinical social workers can provide assistance to individuals suffering from general health or mental health issues. Marriage and family issues can also be addressed by professionals with this title. They may also be called upon for help with community planning and policy development as well as issues with public health and wellness. Since this profession can be responsible for various aspects of the community, it is a popular place for new professionals to settle into. With such a diverse environment of potential professions, social workers have the option to pursue careers in many different fields. Some fields are seemingly more preferable for reasons ranging from more potential profitability to more job satisfaction. Some of the most common professional paths for social workers are found in nearly every community within the country. Here are the top 5 careers in social work. Clinical social workers are some of the most common professionals in the field. These professionals chose to take a very hands-on approach to helping the people around them. Clinical social workers are found in private practice or any organizations that provide healthcare, mental healthcare or general assistance to the community. Clinical social work is likely popular due to the versatility of the degree and the opportunity to work with a variety of different patients. When thinking of social work professionals, this is usually the first one that comes to mind. Working alongside children in the courtroom, these professionals insist on positive treatment of children and work hard to get safe placement and treatment for children that have suffered from neglect, abuse and other situations that warrant court interference. Since children are society’s most proud resource, it is not surprise that this field draws in a lot of interest from prospective professionals. These social workers provide children with the care and support they need throughout their school years. Professionals in this field maintain a balance between personal and educational goals for children so that their educational path is as successful as possible. Mental health sufferers rely on social workers to help them with getting the care they deserve. In an effort to connect those suffering from mental health disorders with the medical facilities and support organizations, social workers research and provide knowledge of the mental health field as patients require it. Sometimes practicing in social work just is not enough for some professionals. Sharing the knowledge of social work is a gift that some professionals choose to pass on to future learners. Social work professors work for colleges and universities – delivering social work material to students that are seeking careers working with their communities. This is a popular field in social work due to its importance to the social work field as a whole. The Bureau of Labor Statistics states that the average social worker earns around $45,900 per year (2015). As a general figure, this can change depending on which focus a professional chooses as well as the area in which is worked. Working in hospitals, mental health facilities, schools and universities and even private practice, the potential to earn can be just as diverse as the job itself. Some of the highest paying jobs in social work require that professionals have at least a Master’s degree in Social Work as well as licensure through the state in which they live. Social work is typically an area that people get into for a deeper reason than simply salary. However, there are countless reasons social workers should be paid more, and it is perfectly acceptable to seek out a high paying social work career. Below are a few of the highest paid social work jobs. All data is according to the US Department of Labor Bureau of Labor Statistics, referenced below the job title. Be sure to check out the different values – the average mean salary is the average salary of all social workers according to the BLS. The “Top 10% is how much the top 10% of people in that profession make – assume this is the “top end” of the salary pendulum for that social work job. Social work is an incredibly influential field – regardless of which specialty a professional works in. Over the years, organizations have been developed to help professionals with making the right decisions and giving them the right information for providing the best care for individuals. Many professional organizations for social work act as advocates for professionals and provide support and recent trends for professionals to build their knowledge around. The National Association of Social Workers is a leading provider of advocacy for social work professionals, as well as more specific groups such as the Clinical Social Work Association. Students that are interested in getting information about state board tests or individual licensing requirements will find resources and guidelines from agencies such as Council on Social Work Education and the American Board of Examiners in Clinical Social Work. The Council on Social Work Education is the leading accreditation agency for educational programs that provide social work degrees. Not only is this organization vital to the reliability of social work degree programs, but it is also a great resource for current and future professionals in the social work field. The CSWE Center for Diversity and Social & Economic Justice helps social work professionals understand the importance of social diversity and the application of social justice for all people. This is one of many organizations that help cater to the needs of society by better educating the professionals within. Other related entities such as the CSWE Leaning Academy and CSWE Leadership Institute provide in-depth training and materials to individuals that are interested in leadership positions or those that involve the instruction of others.